Protestors say they'll march to City Hall Tue from 4th Precinct. 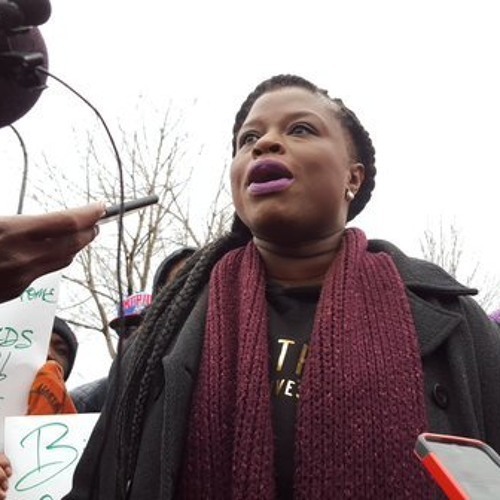 "We did it Tuesday," one @BlackLivesMpls leader says. "We'll do it again." "We'll all meet back here tomorrow," one @BlackLivesMpls leader says. City and community leaders from north Minneapolis asked demonstrators to pack it up, but protesters say they're not leaving until their demands are met. "Power to the people," Black Lives Matter protestors chant as snow continues to fall on them. Minneapolis officials and community leaders say street demonstrations outside the 4th Precinct police station are a public safety hazard. Protesters say they won't go, setting up a potential conflict with police. Four men were charged in the Nov. 23 shootings that left five wounded outside the 4th Precinct station in north Minneapolis. City leaders say encampments outside the 4th Precinct are a hazard and must end. Protesters say they won't move and believe police are preparing to remove them forcibly. 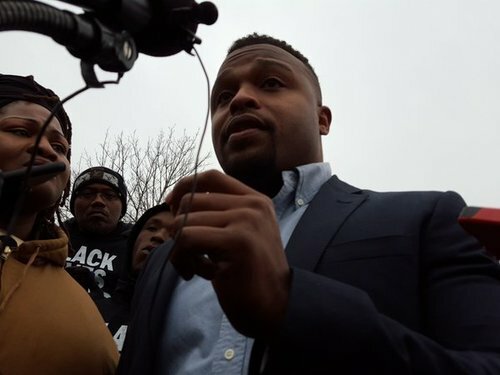 Levy-Pounds says the NAACP stands with Black Lives Matter in calling for a special prosecutor to take charge of the case of the men charged in the Nov. 23 protest shootings. 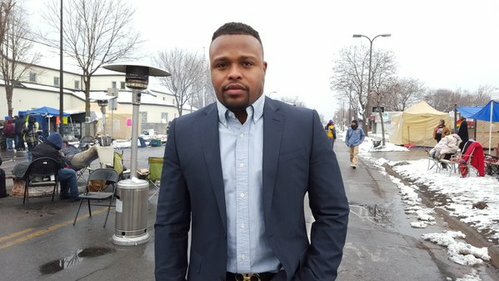 While Hennepin County prosecutors charged the men today, Levy-Pounds said, "We cannot trust what's happening at the Hennepin County Attorney's Office in terms of holding people accountable." Asked what protesters will do if they're forcibly removed from outside 4th Precinct station, Levy-Pounds said, "The people have declared that they are not willing to leave the 4th precinct occupation." 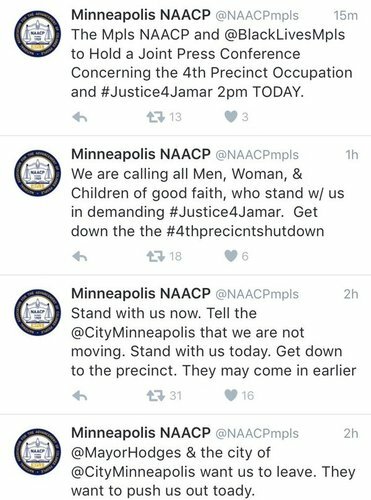 NAACP Minneapolis head Nekima Levy-Pounds: We've been told police will try to move encampment "occupation" today outside 4th Precinct. She said that information came "second and third hand from the city and from some people in the federal government." 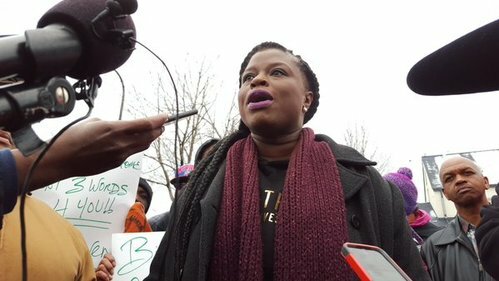 Levy-Pounds repeats call for the Minneapolis police to be placed under federal control: "We cannot trust the city of Minneapolis or the Minneapolis Police Department to hold themselves accountable." 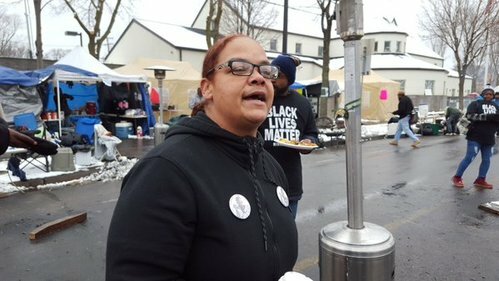 Kandace Montgomery, Black Lives Matter organizer, indicating that group will not end "occupation" outside 4th Precinct. 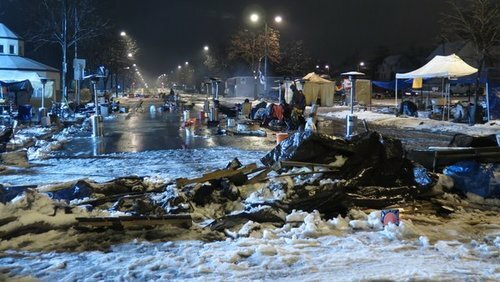 "We stay here because our demands have not yet been met." 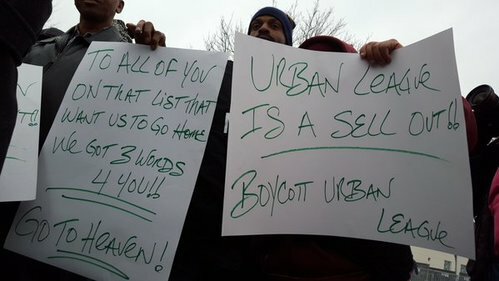 Today's QuestionOne protester, Andrew Russell said, "If they tell us answers, we will leave. Until you release the tape, we ain't going nowhere." 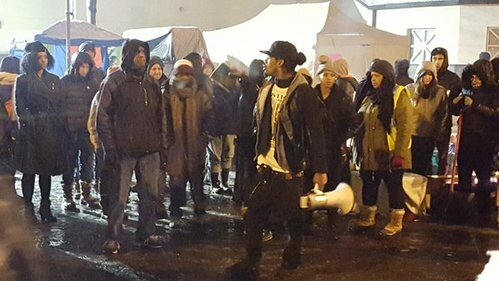 The fatal police shooting of Jamar Clark on Nov. 15 has sparked community protests and calls for justice. 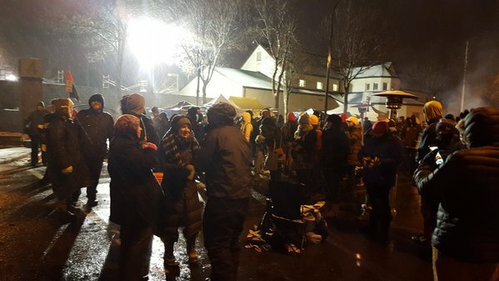 Crowds have gathered since then at the 4th Precinct police station to protest the shooting. MINNEAPOLIS (AP) — A county prosecutor in Minneapolis says he's filed the toughest charges possible against four men accused of a racially motivated attack on five protesters. 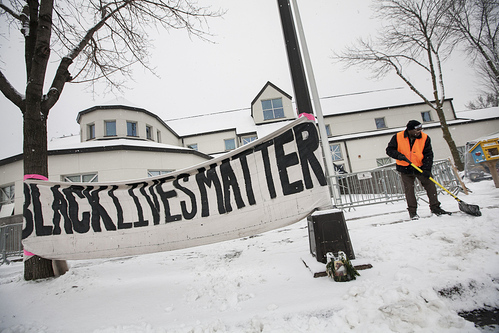 The protesters were shot last week outside the city's 4th Precinct, where demonstrators have set up camp since 24-year-old Jamar Clark died in a confrontation with police officers. None of the protesters suffered life-threatening injuries. Hennepin County Attorney Mike Freeman said Monday the felony charges he filed against the four men carry tougher potential sentences than any kind of hate crime-related charge he could bring. Twenty-three-year-old Allen Lawrence Scarsella, of Lakeville, is charged with one count of riot while armed with a dangerous weapon and five counts of assault with a dangerous weapon. Twenty-seven-year-old Joseph Martin Backman of Eagan; 21-year-old Nathan Wayne Gustavsson of Hermantown; and 26-year-old Daniel Thomas Macey of Pine City each face a riot charge. Freeman noted it is possible that federal charges could be brought. 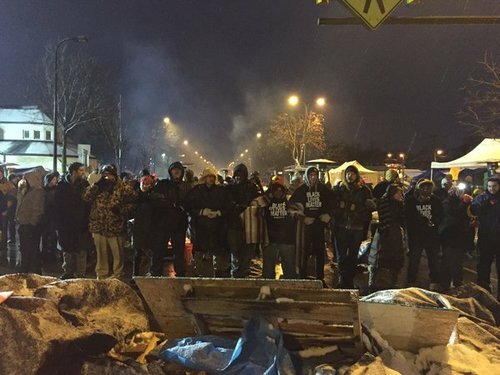 Black Lives Matter Minneapolis supporters urged to come to the encampment with a text message reading, "URGENT: Police moving to evict #4thPrecinctShutDown now." A follow-up message was sent to clarify that police "may be preparing to evict." A video obtained and posted by Black Lives Matter days before the shooting shows two masked men using racial slurs and flashing a gun while talking about their plans to visit the protest. The driver, who bears a resemblance to a fifth man arrested but who was later released, closes by pointing at the camera and saying, "Stay white." Chris Hill, a cousin of Jamar Clark, said he approached a group of masked men right before the shooting broke out. "And I just asked them — 'Who are you? 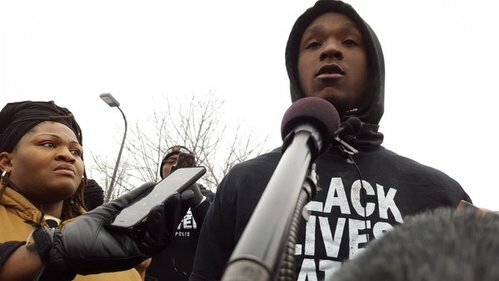 Are you here for Jamar Clark?'" Hill said. "And they immediately got upset, like 'We don't have to tell you who we are. We're not taking our masks off.' They got aggressive with us." Hill said the men got into a confrontation with other demonstrators. A group started running after the men, but Hill said the group had stopped chasing them by the time the gunman opened fire. "Everybody's still standing here at the back of the alley," Hill said. "And they just start shooting. It was like, 'Pow, pow, pow, pow, pow!' Like he was aiming." Henry Habu, another protester, said he saw one of the masked men fall to the ground during the scuffle, get up and start shooting. 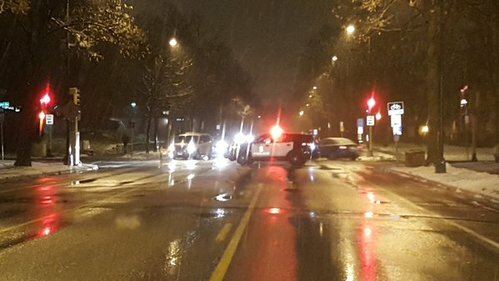 Minnesota's self-defense law has a provision that requires someone facing threat to retreat, if possible, before responding with reasonable force. The Rev. Danny Givens, Jr., an organizer with Black Lives Matter, said the men were looking to provoke and harm peaceful demonstrators. That's not self-defense, he said. "You come up here, armored up. Why do they wear bulletproof vests? Why do they have firearms in their vehicle? That suggests they came down here with the intent to destroy, to destruct," Givens said. But a friend of one of the suspects can't reconcile that image with the man he grew up with. Kyle Weber said he's the best friend of Nathan Gustavsson, one of the four men in custody. Weber was asked by a reporter to watch a six-minute video that appears to have been recorded by the shooting suspects before the altercation. In that group is a man sporting a red flannel jacket and scraggly facial hair. Weber said he has no doubt that is Gustavsson. "I'm pretty upset," he said. "It's hard to accept; it's not like him. It's not who I grew up calling 'brother.'" 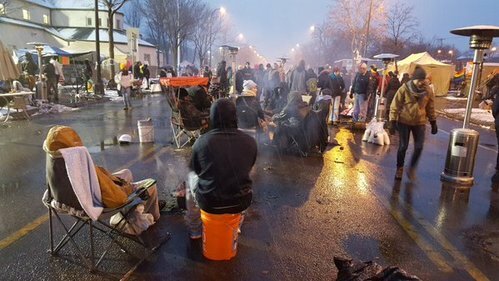 Regardless of whether the four men are charged today, protesters said they will continue to camp out at the 4th Precinct, even as a winter storm approaches. Freeman also said he won't release any additional video as the investigation continues. Freeman: At this point, in "our professional judgment, this is as far as the evidence will take us." Says if there's new evidence that might change. Freeman: Says Feds are also looking at charges in protest shooting. "If the feds can give more (prison) time and can give a better case, I'd be happy to ship it over to them." More Freeman: "As often happens, the videos in this case (protest shootings) are inconclusive and do not reflect or show the actual shooting." Freeman continues: "These are sick people," he says of suspects. "The language they use and how they talk about fellow Americans, citizens, people is not acceptable." He says he didn't charge as a hate crime because that would have been a lesser charge than felony. "These four individuals violently impacted peoples' right to demonstrate. We will prosecute them to the furthest extent of the law." -- Hennepin County attorney Mike Freeman. 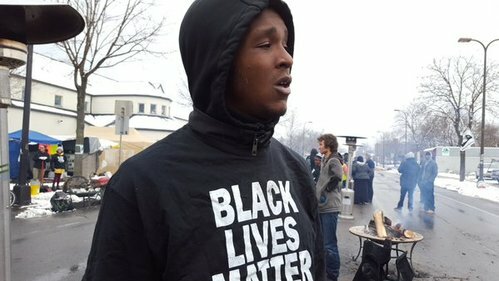 Minneapolis, Minn. -- Black Lives Matter Minneapolis and the Minneapolis NAACP will host a joint press conference at 2:00pm today to respond to recent developments in the Jamar Clark Case. A response will be given to County Attorney Mike Freeman’s decision on what charges to bring against 4 shooters that shot 5 protesters at the 4th Precinct occupation. Social media of the gunmen provide ample evidence of their racial hatred towards Black people. 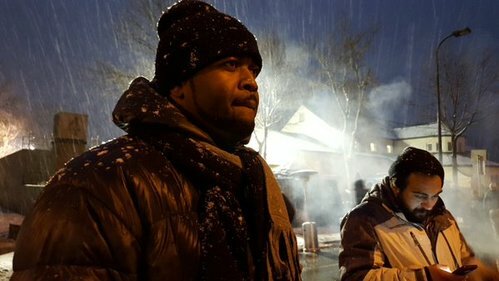 Community members have held a 24/7 occupation of the 4th Precinct for the past two weeks to demand justice for Jamar Clark, an unarmed black man who was shot in the head by police. 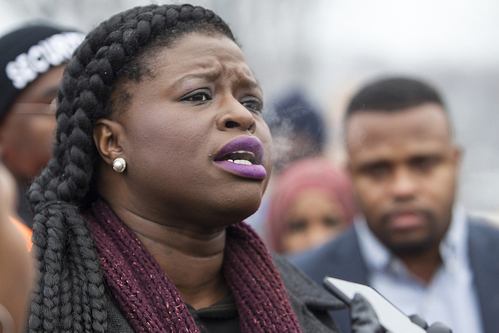 Black Lives Matter Minneapolis is calling for the appointment of a special prosecutor and demanding that the officers involved be directly prosecuted without involving a grand jury, given that over 97% of cases involving police killings end without indictment. 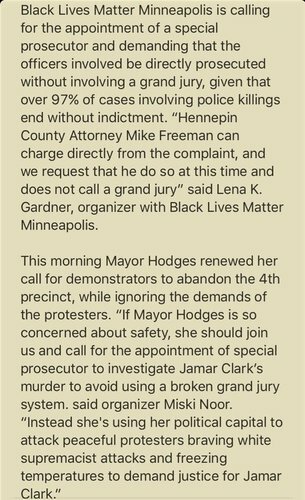 “Hennepin County Attorney Mike Freeman can charge directly from the complaint, and we request that he do so at this time and does not call a grand jury” said Lena K. Gardner, organizer with Black Lives Matter Minneapolis. 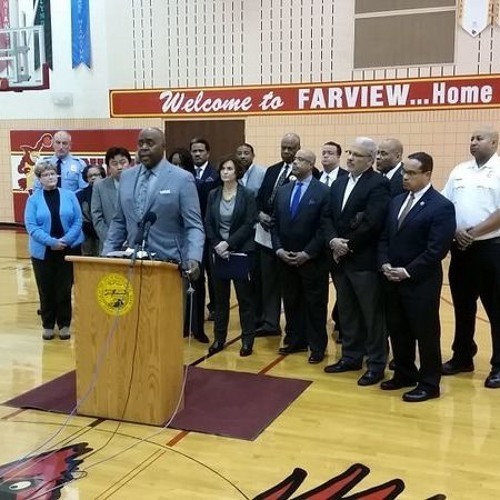 The community is continuing to call for officials to #ReleaseTheTapes, especially in light of the Laquan McDonald case in Chicago where tapes of officer shooting a teen 16 times who posed no threat were withheld for 400 days. 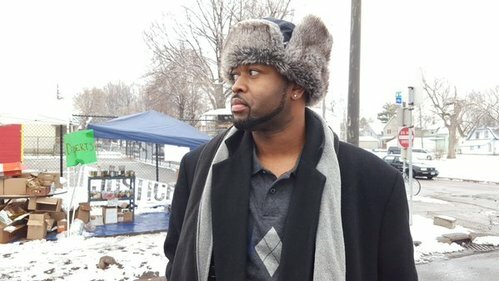 The night five people were shot outside the 4th Precinct police station, freelance photographer Christopher Juhn was on the scene and got these photos. Nathan Wayne Gustavsson charged with 1 count of Riot - 2nd degree- armed w/ dangerous weapon.